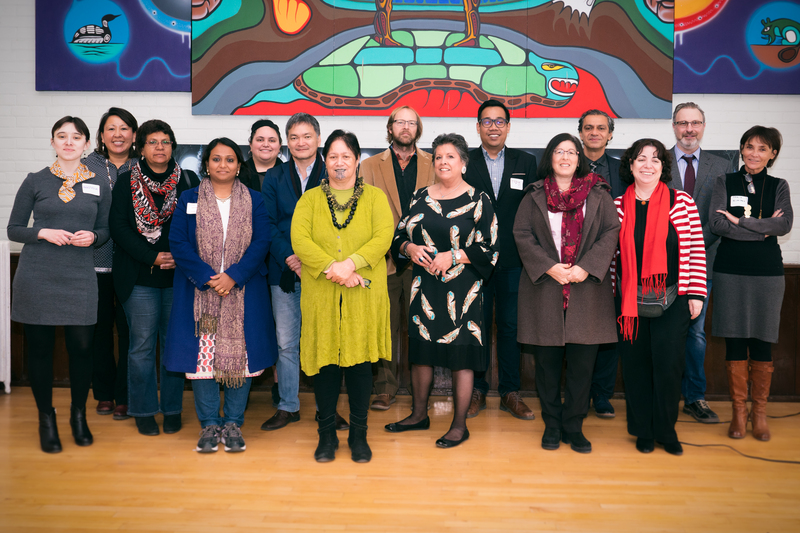 TORONTO, ON – On Wednesday, March 21, the University of Guelph-Humber (UofGH) will bring together 20 esteemed researchers from across the globe to share insights on how Indigenous communities around the world support the mental health of their members. Taking place at the Native Canadian Centre of Toronto, representatives from Australia, Brazil, Canada, England, India, Indonesia, Israel, New Zealand, Peru, Russia and the United States will share their respective Indigenous mental health research and address questions related to culture, challenge and resilience. The symposium will begin with a traditional opening ceremony performed by Chief Stacey LaForme and Arlene Faries, followed by an opening address from Dr. Cynthia Wesley-Esquimaux, Chair on Truth and Reconcilliation. UofGH’s Psychology Program Head Dr. David Danto and Prof. Dr. Masood Zangeneh will then moderate a panel discussion, and facilitate audience questions and breakout sessions. Although the contributors specialize in vastly different cultures and represent a wide diversity of perspectives, Dr. Danto said one factor linking the visiting scholars is that all to some degree utilize strength-based resilience models in researching Indigenous mental health. “There has been a lot of research focused on pathology, and it is very important information – we need to know that rates of suicide, mortality, depression or substance abuse are higher. But that can lead us to not recognize the tremendous strength and resilience that I and many others have seen in Indigenous communities,” Dr. Danto said. “With strength and resilience-based research, we’re looking at examples of communities with positive mental-health outcomes, and asking: What’s being done in these communities? The upcoming symposium is an opportunity to participate in a world-spanning conversation on this topic and expand our understanding of Indigenous mental health." Panelists/global researchers provide insights into global Indigenous mental health practices, (FRONT L-R): Dr. Sipra Sagarika (India), Dr. Kahu McClintock (New Zealand), Dr. Cynthia Wesley-Esquimaux (Canada), Dr. Havatzelet Yahel (Israel), Dr. Iris Manor-Binyamini (Israel), Dr. Maria Beldie De Alcantara (Brazil). (MIDDLE L-R): Dr. Anastasia Peshkovskaya (Russia), Dr. Jocelyn Jones (Australia), Dr. Jorge Yamamoto (Peru), Dr. Chris Low (England), Dr. Tody Sasmitha Jiwa Utama (Indonesia), Dr. Masood Zangeneh (Canada), Dr. David Danto (Canada). (BACK L-R): Dr. LaVerne Demientieff (United States of America) and Dr. Rachel McClintock (New Zealand).